These Tippers were used in the Ranigunj Coal Mines of Bengal. 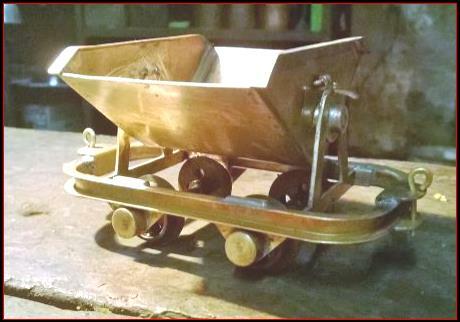 Models are in brass with bent frame chassis, gauge adjustable pocketed wheels and cast/machined axles. Gondolas have miniature locks to hold them in position during transit.